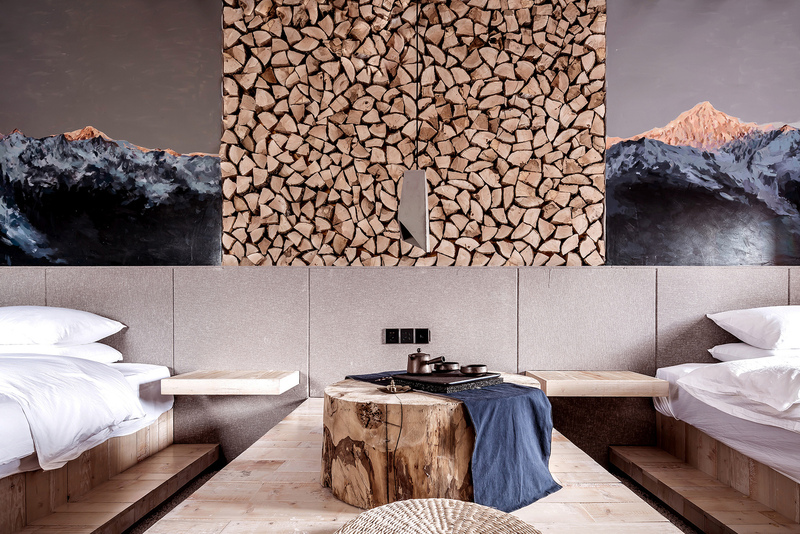 The buildings of Karesansui, which combine elements of Oriental Zen with the Tibetan style of the ancient city of Shangri-La were designed by Yiduan Shanghai Interior Design. After receiveing a brief for what was to become Karesansui, architect Xu Xujun drew a rough draft by hand which impressed the client. The proposal took elements combining Oriental Zen with the Tibetan style of the ancient city of Shangri-La. 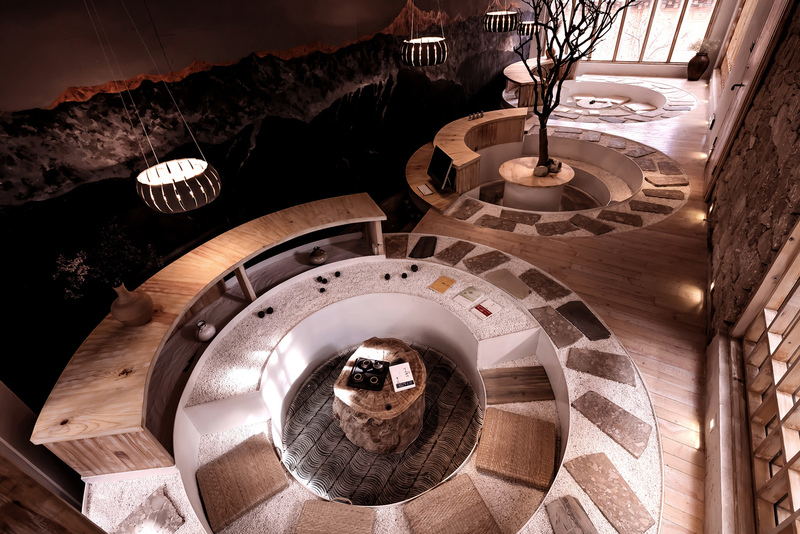 The interior spaces were designed by Yiduan Shanghai Interior Design. 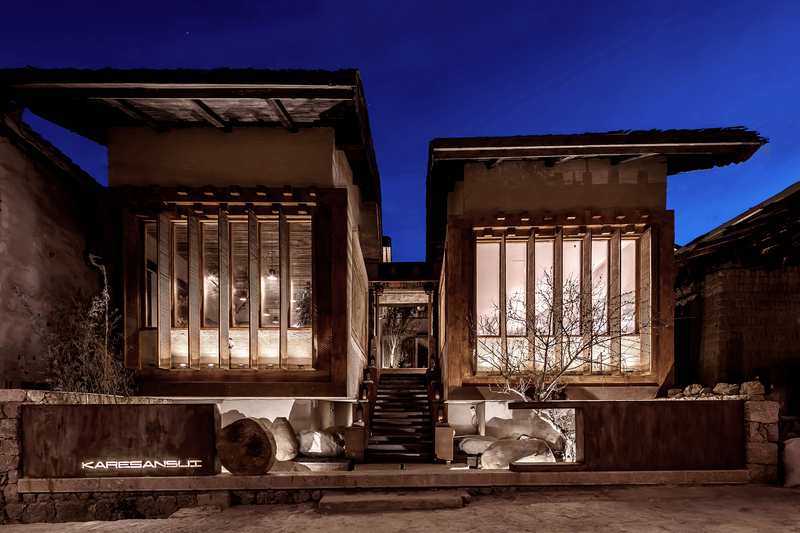 Karesansui is located in the North Gate Street of Dukezong Ancient Town, Shangri-La, Yunnan. Geographically blessed, it is only three minutes' walk from Sifang Street. The buildings are built on the slopes and took nearly two years to complete. During the construction period, Mr. Xu stayed on project site with his assistants for nearly one year to oversee the construction. This contributed greatly to the perfect implementation of the design. Karesansui is composed of six small buildings and an old Tibetan house, with the two buildings where the restaurant and lobby located visually floating in the air. Bridged by corridors, the buildings undulate and interweave with each other. There are 15 guest rooms in total, plus a lobby, a restaurant and a tea room. 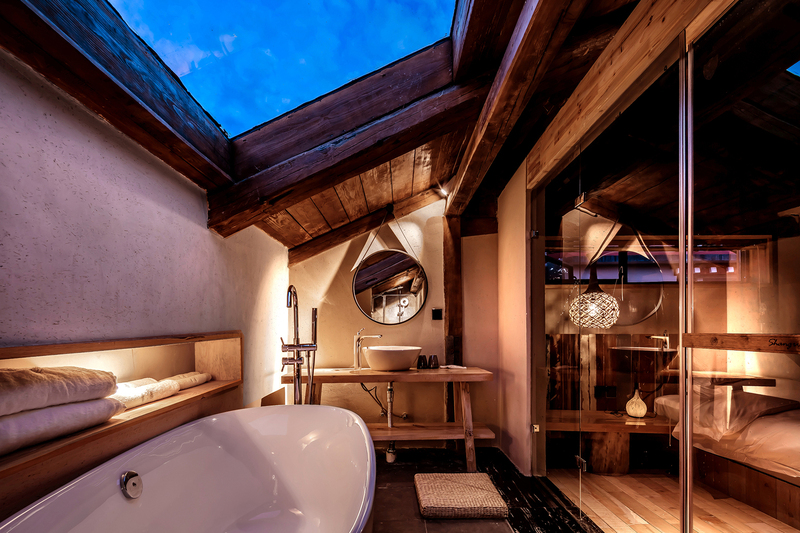 The unique indoor design could be found in each guest room, and while giving guests a great sense of privacy, it shows the beauty of new oriental Zen. One of the buildings kept the original Tibetan structure, plus local Tibetan elements are added to its architectural and interior design. When designing the window, Xu Xujun made full use of the great view, making it possible for guests to enjoy the painting-like scenery of blue sky, white clouds, sunrise and sunset. The transformation of new styled buildings and the old Tibetan houses is natural and harmonious. The scale of the hostel is not big, but it is exquisite. While standing out, the buildings blend into the surrounding environment and hostels seamlessly. The local committee call it "one of the most beautiful hostels in Shangri-La". The name of the hostel comes from ‘Looking for the Reclusive Chan Taoist of South Stream’ by Liu Changqing, poet of the Tang Dynasty. “Enjoy the green pines after the rain, walk by the path of the mountain and find the source of the water, I understand Zen from the reflection of the flowers in the stream, and I stare at them silently.” The poet didn’t find the Taoist, instead, he found something else interesting which enabled him to get insight into Zen. 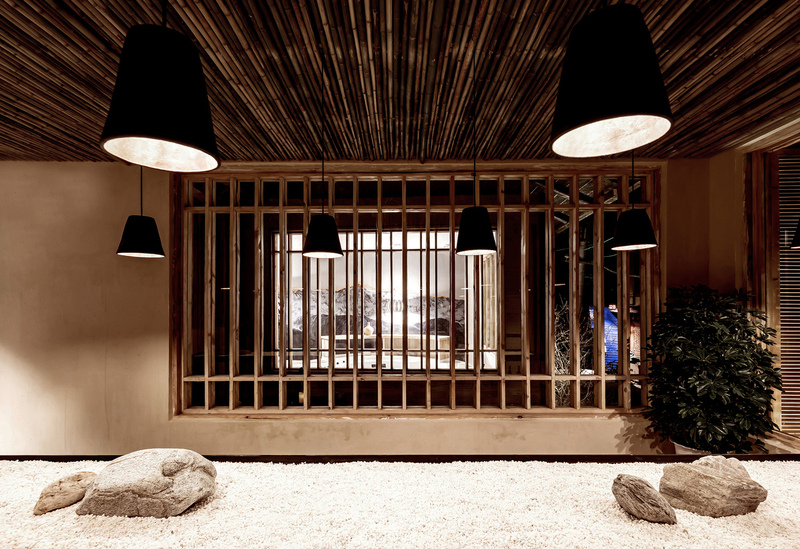 The name Karesansui is thus born, aiming at helping guests to gain spiritual pleasure and psychological satisfaction. The hosts hope all guests are enlightened by the quite stream, enjoy fun and tranquillity from appreciating a swaying wildflower, and to look inside the heart to find a kind of peace and joy of self-examination. This kind of peaceful mood integrates harmoniously with the quiet environment. Click here to view more design articles on RETalk Asia.